Red River Hospital has been a leader in behavioral health care for over 40 years. 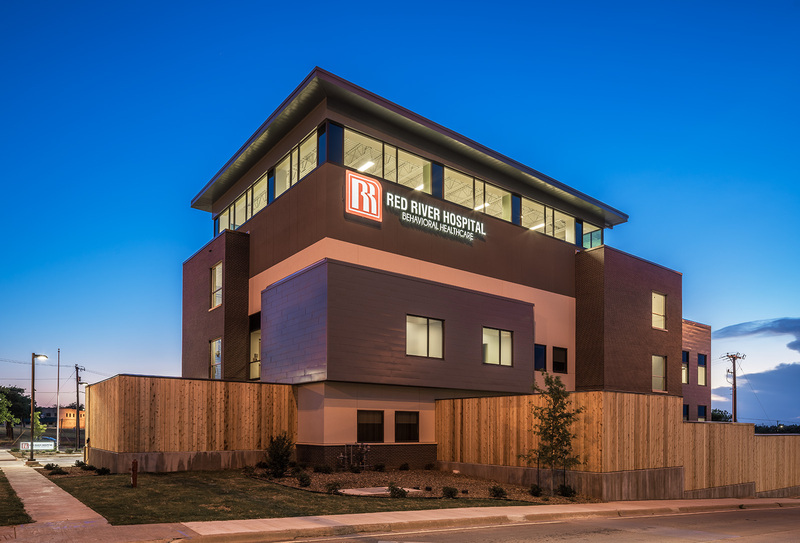 Red River Hospital is a private inpatient 74 bed acute behavioral facility dedicated to the treatment of behavioral health and substance abuse services. Located conveniently in Wichita Falls, Texas, Red River Hospital provides crisis stabilization services for children, adolescents, adults and seniors, active duty military and dependents within Wichita Falls and the surrounding areas. Our excellent staff is committed to the continuous improvement of behavioral health care by providing treatment opportunities which promote individual, family and community wellness. At Red River Hospital we care about individuals and families experiencing mental health and substance abuse problems. As a team, we are dedicated to providing quality outstanding care and attending to the individual needs of each patient and their family in a caring and compassionate manner.